Landline out of order due to weather! Blue Whale Resort maintain high standards and offers fully equipped luxury self-catering chalets, located on the seafront only 10km from George central, 13km from George Airport and only 6km from the N2. Private Nature Reserve - residents to chalets and guest to the conference facility only. 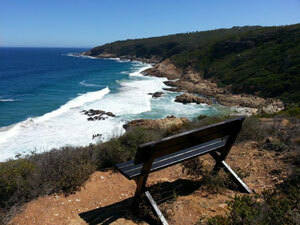 Blue Whale Resort is surrounded by indigenous forests and fynbos. 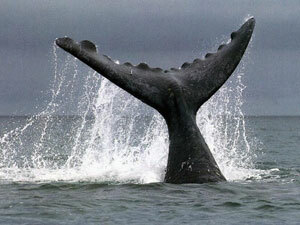 Whales can be seen during winter months and dolphins year round from the comfort of your veranda. 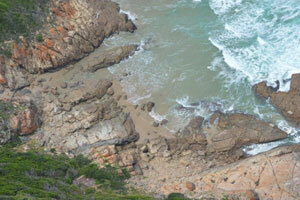 It is also one of the best fishing spots in the area and numerous fish species can be caught from the rock beach. 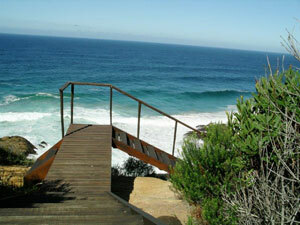 Herolds Bay and Victoria Bay are approximately 12 & 18 km away and offers safe bathing. 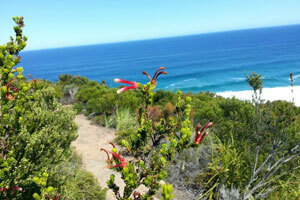 A variety of indigenous birdlife can also be observed while walking/cycling on the short hiking trails. Come and relax in one of ten luxurious, fully equipped chalets. 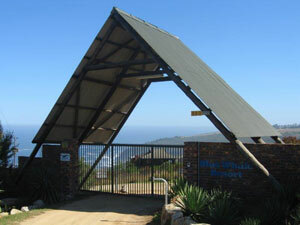 If you want to hike, fish, or just enjoy a nice rest, Blue Whale Resort is the ideal holiday destination for you. The ten chalets are identical, 8 with a beautiful sea view and a nice privately situated setting and 2 chalets situated a little further from the ocean and the rest of the chalets - ideal for large families and also usually less expensive than the other 8 chalets. The chalets and conference facility are built on 10 hectares of land, zoned as a private nature reserve.